Is this green Kia Optima about as interesting as lentil soup, or is it a little spicy? Established British motoring journalist, Tim Barnes-Clay, drove it to find out. 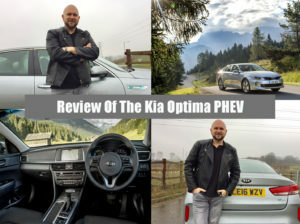 Some say that electric-powered cars are the future, but until we’ve got rechargeable vehicles capable of long-range, we’ve got motors like this - the Kia Optima PHEV. Part petrol, part plug-in electric, the South Korean hybrid is aiming to impress - backed up by that famous Kia warranty. Go back 20 years or so, and the Kia stable looked much different to how it does today. Uninspiring, low-tech, poorly made machines seduced nobody in the car market, but everything’s different now. 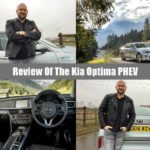 The new Kia Optima PHEV shows how far Kia has moved on. A stylish, modern saloon rammed with all the gadgets you need and utilising a powertrain that is famously difficult to configure. It’s very much the face of modern Kia, but is there a place for it on the motoring market?